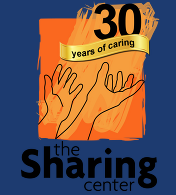 The Sharing Center is a faith-based non-profit organization that seeks to ease the stress of poverty and prevent homelessness by providing basic needs of food, clothing, shelter, and compassion to children, the elderly, and families in distress. The Sharing Center operates thrift shops in Longwood and Sanford, a food pantry, and assists people with needs of all kinds. They are a community partner that we support with our Charitable Outreach and through many parishioner volunteer hours.